The most recent Webinar Wednesday presentation, sponsored by Nuvolo, included insights regarding a hot topic in the HTM industry – cybersecurity. 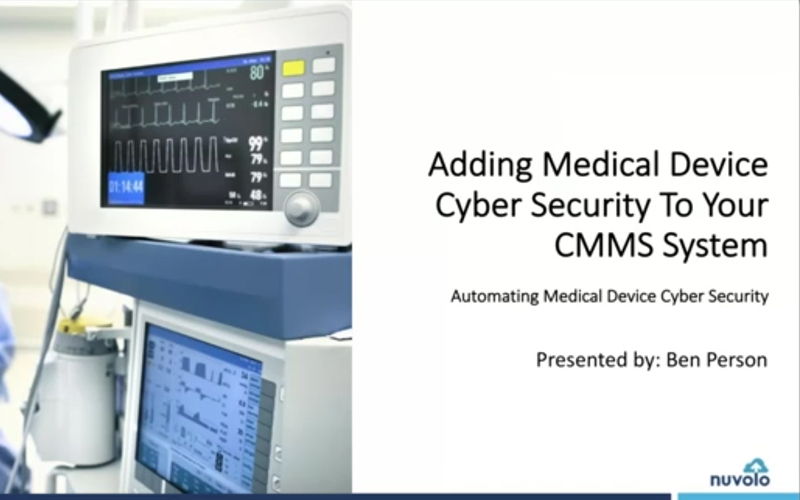 “Adding Medical Device Cyber Security To Your CMMS System” presented by Nuvolo Vice President of Product Marketing Ben Person was eligible for 1 credit from the ACI. He shared his experience regarding the different ways innovative HTM organizations are managing medical device cybersecurity in a CMMS System. Person discussed today’s business challenge, process improvement areas, and cybersecurity approaches. He also looked at the transition from the current to future state of IT in the health care environment and provided an insightful demonstration. The webinar concluded with a question-and-answer session in which Person shared his knowledge with attendees regarding specific concerns. About 200 people attended the live webinar presentation and more have viewed a recording of the webinar on YouTube and other outlets. A survey sent to attendees collected positive feedback for the presentation and the Webinar Wednesday series. “Great content! Cybersecurity is a great topic to keep at the forefront of HTM. Patient safety has changed with regulations and now cybersecurity is pushing the envelope even more. Keep bringing these types of interesting and relevant topics to the webinars,” said L. Clifford, Area Manager. “A hot topic for all in HTM! Nice job,” reported M. Dowd, Senior Director of Biomedical Engineering. 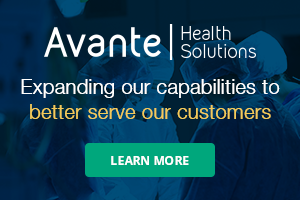 “I am new to the hospital’s cybersecurity team and this information is invaluable to discover and move ahead in my role as lone biomed guy and adding equipment to network,” said M. Pritchett, CBET. “This was one of your best webinars I have attended regarding new information. Learned a lot,” Biomed H. Kim said. “I appreciate the effort placed into preparing presentations. When I can learn something that can improve my performance or stimulate new ideas the presentation is real bonus. Thanks for continuing to provide great content and information for free,” said L. Shelman, CBET. “This was my first Webinar with you folks and it was very informative, thank you for providing me this opportunity to listen and learn,” said G. Woods, Clinical Engineering IT Specialist. “I am always excited when the subject and work schedule allow me to take time for Webinar Wednesdays. It has always proven to be well worth the time I set aside,” said D. O’Keefe, Lead Technician Clinical Engineering. “Webinar Wednesday is a great way to learn about companies in our industry and ways to solve issues that arise in our ever-changing field,” shared M. Ramono, Clinical Engineering Technician. “Webinar your Wednesdays and increase your knowledge,” said R. Slater, Medical Electronics Technician. For more information about the Webinar Wednesday series, including a schedule of upcoming presentations and recordings of previous sessions, click on the Webinars tab above.